Aloe Vera has long been recognized for use in homoeopathic preparations in order to restore skin and health issues. It is said to have antioxidant, antiseptic, anti-inflammatory and regenerating properties, and has been proven to aid in wound healing. This rich, off-white butter is a sophisticated blend enriched with highly emollient Olive oil, soothing Aloe Vera extract, and hydrogenated vegetable oil and medium chain triglycerides which is deeply hydrating and helps to reduce the appearance of aging and scaring. Common Usage:-Creams, lotions, body and lip balms, bar soaps. It can be used in all manners of skin and hair care products where the healing benefits of aloe are desired. Try adding some of this butter to your healing salves or baby products Aloe Butter is a perfect addition to a variety of skin care formulations meant for dry and weathered skin. It can be added to creams and lotions to make them ultra-rich and increase their ability to hydrate the skin. 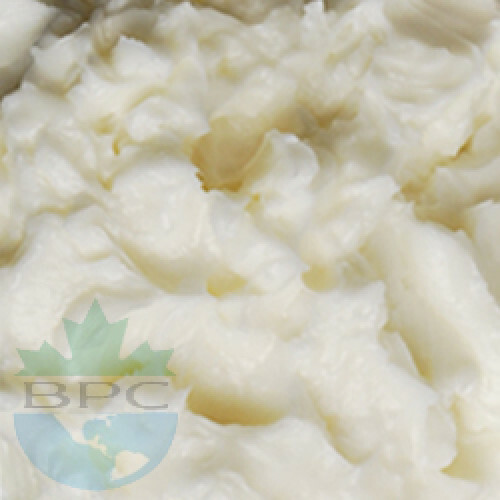 The creamy texture of aloe Butter exhibits excellent spreadability, making it ideal as a massage butter or moisturizing body butter for mature and troubled skin.